The Apple Watch is still weeks away before consumers can slap it onto their wrists, but that’s not stopping some designers from coining up concepts and designs for new apps for the wearable, including one that lets you skip the lines at Starbucks for your morning java needs. The UI designers have developed a concept app which allows you to order your coffee, and lets you pay for it using Apple Pay, all with a few simple taps on your Apple Watch as you remain comfortably seated in your chair, and wait for your order. 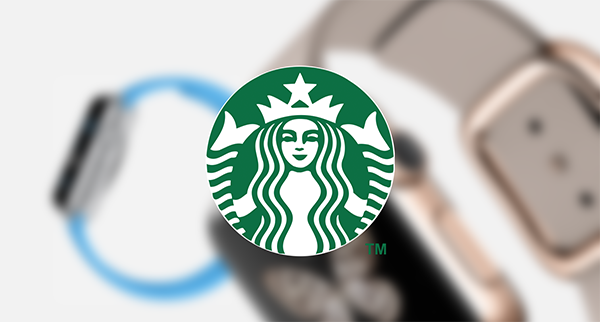 According to Pek Pongpaet – Impekable’s founder, "Our concept was to re-envision how Apple Watch could enhance the Starbucks customer experience, by providing an even better way to order rather than standing in a long line." Pongpaet says the idea is pretty cool given the fact that a consumer can simply order the usual drink, pay for it using Apple Pay or the Starbucks card, and when the order is ready, be notified about it on the watch. The concept shows off the UI of the menu system where you can tailor up your coffee, and once satisfied, pay for it using Apple Pay or your Starbucks card. The designers had also showcased the Starbucks Apple Watch app concept at a recent WatchKit hackathon, and the entire concept seems to stem out of the intimacy that Apple Watch carries with the user. According to Pongpaet, "Phones are very intimate, but watches and wearables can be even more intimate requiring less interaction because you don’t have to have it out – it’s on your wrist." 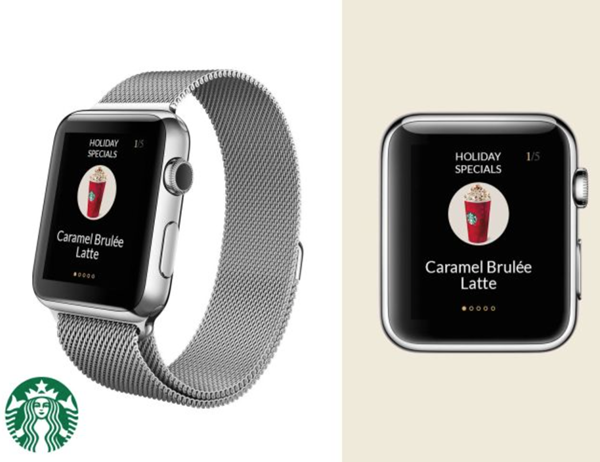 Such concepts and efforts are what will ultimately make the Apple Watch count for something other than just a notification-centric smartwatch, but the trouble with this concept is the glaring fact that Starbucks does not support Apple Pay, and it looks like it won’t be doing so anytime soon given its own payment system and app for iOS, as well as Android. Another important point to consider is that the Cupertino’s wearable will not be open to running standalone third-party apps at launch, given that the just-released Apple Watch SDK doesn’t even support such development for now. However, the team at Impekable seems undeterred in the face of such odds and will be pressing ahead with their effort. Or just stick a $20 bill on your Timex watch and use that to pay. There, I did something before a stupid Apple iWatch can do it. All I needed was tape. Done and done. Ecosystem bring it Apple inc.
Are you gonna tape a menu to your wrist as well? The Coffee at Starbucks taste terribly! I rather to make a real coffee at home. It taste better than over broil and ruin the taste at Starbucks. Therefore, the coffee is too expensive at Starbucks. In Portugal, it is only 60 cent and taste awesome. Sorry about my English.